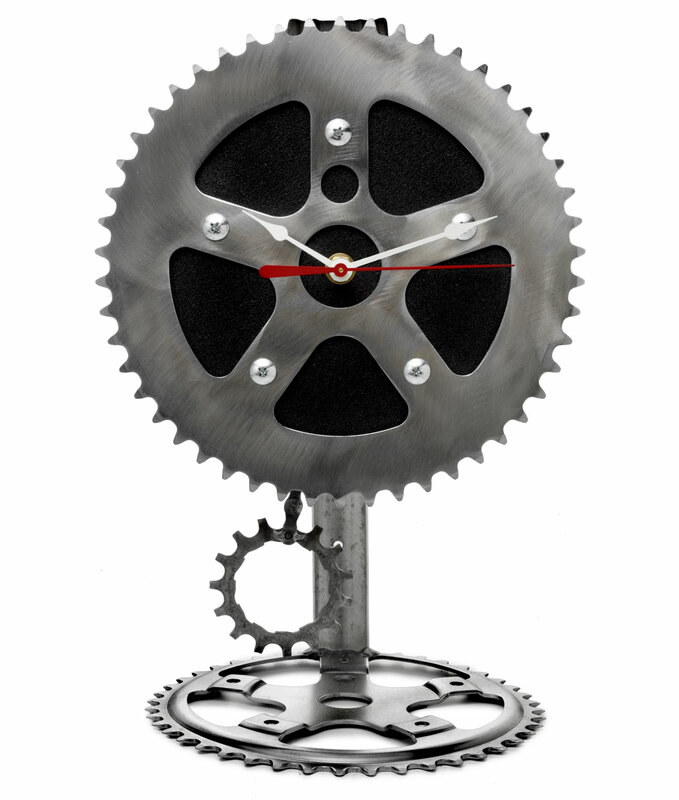 The Recycled Desk Pendulum Clock is handmade from bicycle parts by Graham Bergh and his artisans in Oregon. This cool clock, made of old bicycle chains and cogs, now gives you the time of day instead being scattered in the dump somewhere. Great accessory for any desk, and a great gift for any bicyclist.